Wedding Ensemble, complete with a centre 3" x 14" Center Candle, and 2 7/8" x 1-1/4" Side Tapers in White mad Silver Accents. Also includes a silver finish stand. 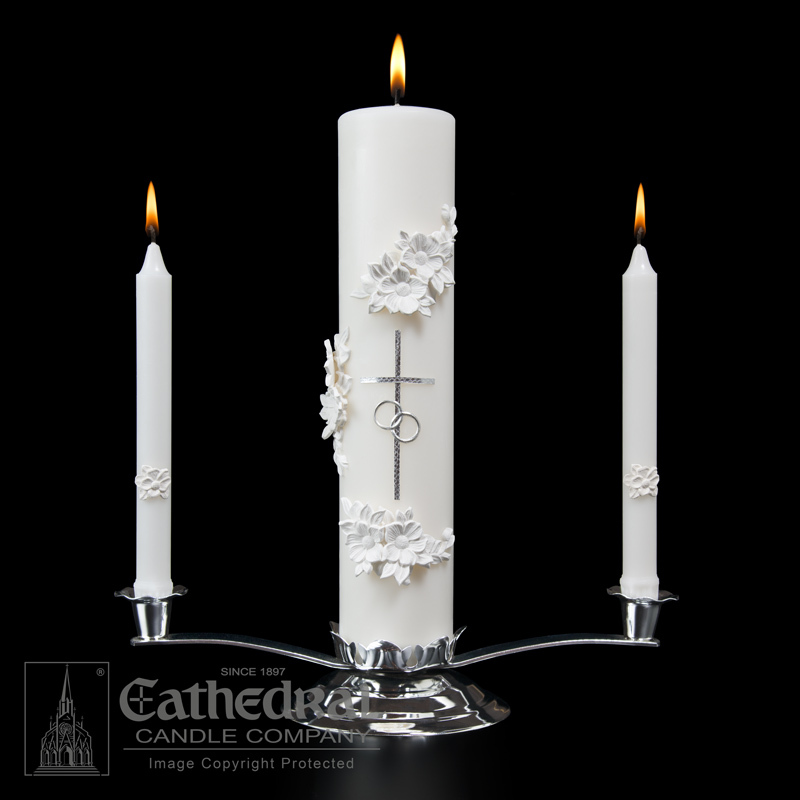 THE "HOLY MATRIMONY" CANDLE'S SIMPLE AND ELEGANT SCULPTWAX DESIGN WILL ADD TO YOUR WEDDING CEREMONY OR RECEPTION. IT COMES IN AN ATTRACTIVE GIFT BOX MAKING IT A PERFECT GIFT FOR BRIDAL SHOWERS OR ANNIVERSARIES.